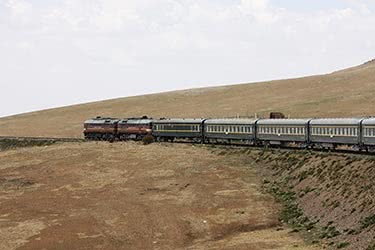 Experience Tibet and the magical splendors that exist in the Tibetan traditional regions of Kham and Amdo. Gain insight into Tibetan culture, customs and traditions while enjoying extraordinary horse festivals in Yushu and Litang. 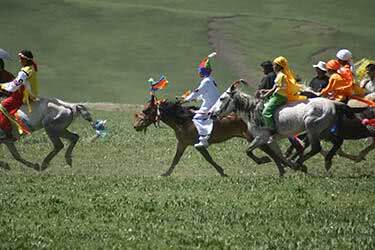 Horse festivals are the most famous and popular events in Tibet as they are the only ones that encourage full family participation, unlike religious or other ceremonies that do not. 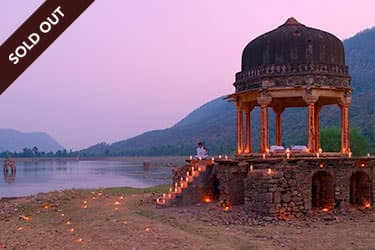 While providing a magnificent display of historical traditions amidst the blooming, summer flowers in the stunning backdrop, locals congregate from all over, for euphoric sessions of singing and dancing in their best attire, used to express their level of wealth and prominence. The highlight to these festivals are the horse races themselves, when local nomads and herdsmen race for the finish line in a brave attempt to win. What makes this festival even more outstanding is the emotionally-charged atmosphere that arises from children being reunited with their parents, and lovers meeting after long periods of time due to the nomadic lifestyles that forces separations over prolonged durations. 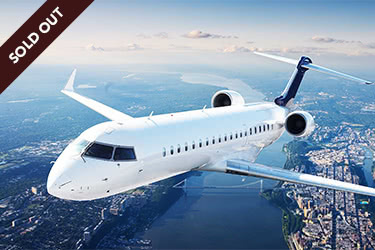 Arrive in the gorgeous Tibetan town of Xining, the capital city of Qinghai Province, where you’ll find a guide ready and waiting to transfer you from the airport to the four-star Tianniange Hotel, which will be your accommodation for the night. 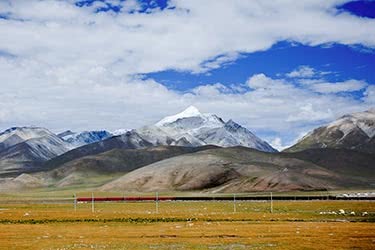 This incredible part of Tibet is renowned for its timber, wool and salt commerce. Enjoy a homemade lunch and dinner by talented chefs, who will whip you up an array of mouthwatering, traditional Tibetan cuisine. 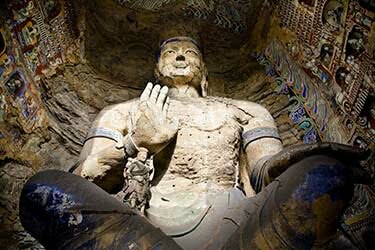 Today you will be given an opportunity to explore the Great Monastery of Kumbum, otherwise known as Ta’er Monastery, and the Riyue Sun and Moon Mountain as you make your way from Xining to Gonghe. 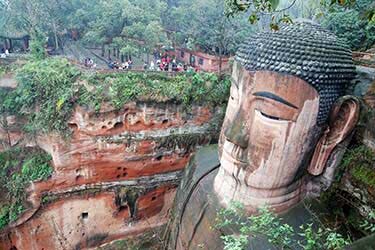 Ta’er is a famous Buddhist, hand-built monastery located just over 17 miles away from Xining, beautifully embedded into the jagged mountains. 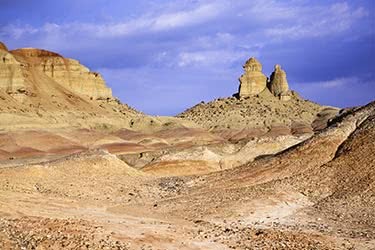 Traditionally used as the gateway for communication between West, South West and Central China, the Riyue Mountain is part of the Qilian Mountain Range that also creates the division between the agricultural and pastoral areas in Qinghai. 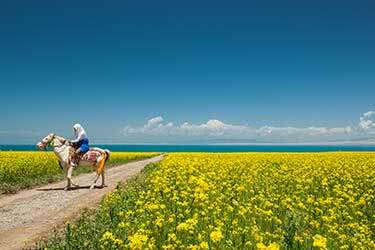 Huangshui Valley can be seen to the east, Qinghai Lake is found Northwest and infinite, green, mountainous countryside is located southwest of this important and influential landmark. 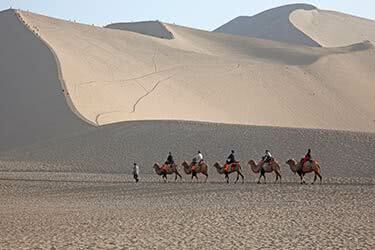 Enjoy spectacular views and absorb the historical atmosphere that resides in these locations. Wake up this morning with an exceptional view of natural, picturesque Tibetan valleys. Follow the Yellow River, or the Huang He as it is known in Tibet, all the way up to the the source that is located in Maduo County. 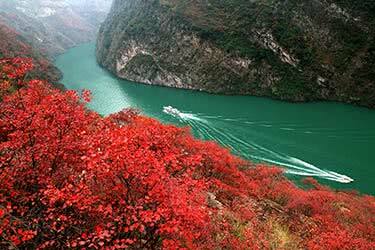 En route, pass through the town of Huashixia, where you can enjoy a spectacular, scenic view of the awe-inspiring rivers, lakes and valleys. 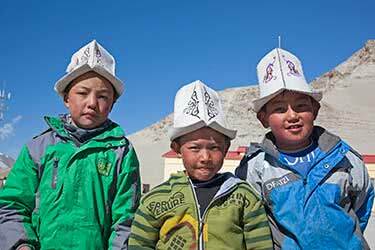 Witness the Golok nomads hard at work as you wind up the beaten tracks towards Amdo grasslands. At a much higher altitude, this remote road will leave you speechless with the view of mountains that peak in the distance, amidst Tibetan wildlife that is renowned amongst bird-watching enthusiasts. The Holy Mountain Amnye Machen, at approximately 2600 feet, is the tallest mountain in its range, and provides brilliant picture opportunities for tourists. 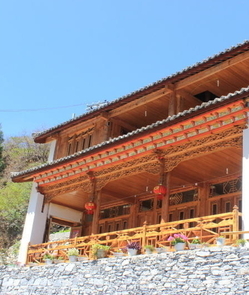 Enjoy a relaxing overnight stay in a comfortably simple guesthouse, where you will be served a traditional Tibetan meal by local community members. Start your day in the town of Xiewu and the Tongtian River, where you will visit local families and experiment the local fresh dairy produce (cheese, milk and Yak butter tea), before reaching the elegant city of Yushu. This unique settlement is home to 76,000 people, comprised of Han, Hui, Salar and Tu nationals, among the predominant populous of Tibetans. Enjoy engaging with the locals who, through gestures and welcoming hands, will display their local customs and introduce you to their culture. Get a good night’s rest in the Yushu Hotel that, although basic, has all the necessary amenities you will need for the night. The focal point of your trip will come to light today with a cultural event that gathers nomads, school children and lovers together in a fun, festive and lively day. Centered around horse races, these seasonal festivals attract an influx of people coming from hundreds of miles away. Taste the local wine, dine on fantastic homemade food, sing and dance as you join the masquerade, and enjoy the craziness that surrounds the famous trading associated with all festivals. 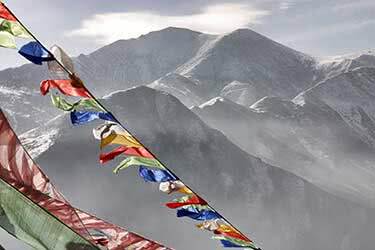 Gain an experience like no other as this intriguing festival enlightens you into the real, non-commercial side of Tibet. Make your way back to the conveniently-located Yushu Hotel and attempt to get a good night’s rest for a continuation of the next day’s festivities. Wake up, indulge in a tasty Tibetan breakfast and put on a pair of comfortable shoes. Today you will join the merry crowds once again as the nomads take off on their famous horse race to earn the reputable title. Enjoy a heartfelt lunch supplied by local families to regain energy for more dancing, cheering and singing. Make sure to take plenty of photos before heading back for a delightful last dinner and relaxing overstay at the now familiar Yushu Hotel. Say your friendly goodbyes before gathering your belongings, and enjoying one last breakfast in this stunning setting of Yushu. Today you will leave the unforgettable town to explore the wonders of Serxu (3.5 hours away), where you will visit the famous Serxu Monastery. 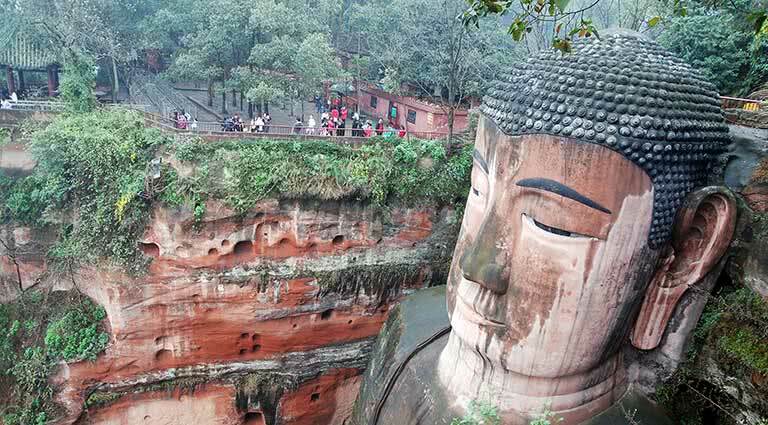 This fascinating landmark is home to the second largest, future Buddha statue in Tibet, the Maitreya (Byams-pa) Buddha. 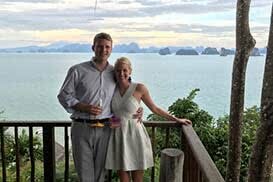 Enjoy the stunning scenery as you look over the mountains in the distance. 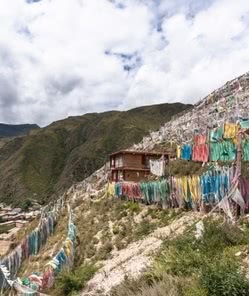 Colorful prayer flags will give you an authentic feel to this incredible Tibetan site. Snap away before heading for a lovely overstay in a local guesthouse in the heart of Serxu. Wake up nice and early to head out on another scenic route as you make your way up to the beautiful glacial mountain of Derge Grand Canyon. 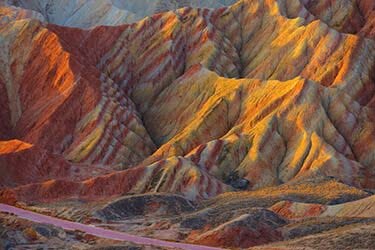 En route, capture a breathtaking view of Manigange and Chaola Mountain, where you can expect an outstanding view of Xinluhai Lake, and the heavenly white peaks of the cascading mountains and their glaciers. Take time to explore the Dzogchen Monastery that has a profound influence in the Nyingma culture. 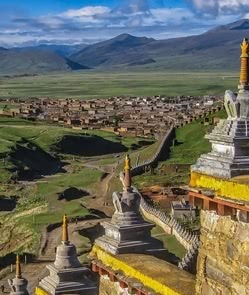 This Monastery has been famous for hosting traditional Tibetan Buddhist teachings, since it was founded in 1685, and today holds a reputation for being one of the major centers for the preservation of Buddhist teachings and its artifacts. Rest in the peaceful Chaola Mountain Hotel, where you will be served a gorgeous Tibetan meal, in the fresh air that penetrates off the crisp mountain range. Take a moment to absorb the picturesque view of salient mountains rising in the distance as you get ready for a day that will teach you more about Buddhism, and the preservation of its scriptures. 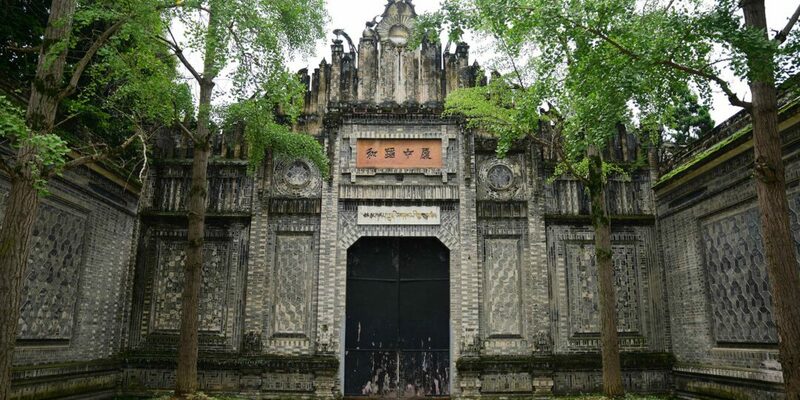 Head towards the Kham province, where you will reach the larger town of Derge and its famous Printing House (Parkhang). 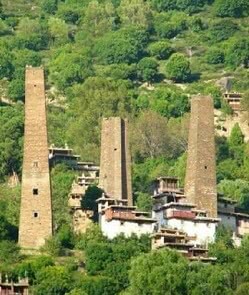 Derge town is historically-renowned in this region of Tibet, for being the capital of the Derge Kingdom that once ruled the whole northern Kham area. At the printing house, watch the artisans at work as they silently carve their woodblocks. Enjoy a peaceful lunch before leaving the spiritual town of Derge for Xinlong. Gain insight into the functioning of a traditional Tibetan hospital as you stop via Baiyu en route. A local guesthouse will be your shelter for the night, where you can enjoy a sociable group dinner under the stars. Wake up refreshed from a peaceful night’s sleep and have a relaxing day of sightseeing as you head 4 hours toward the nomads town of Litang. 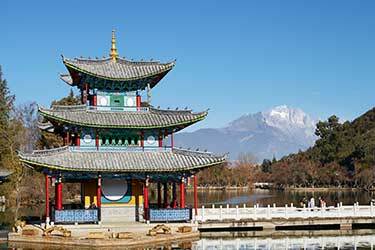 Experience luscious, picturesque views as you weave through the Yajiang Valley and over the Litang Grassland. 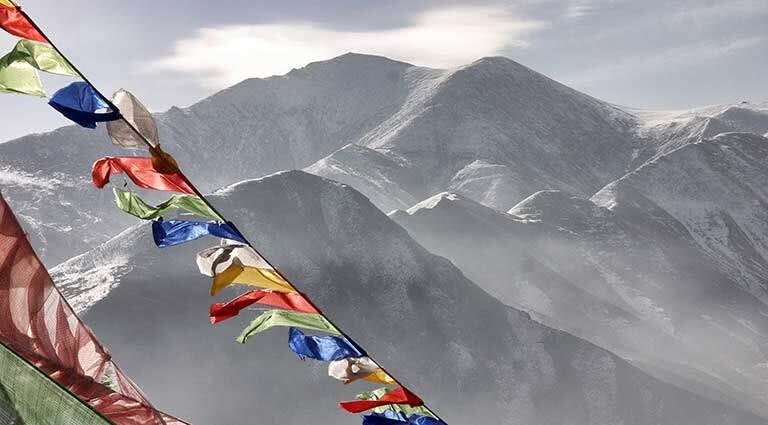 At nearly 13,200 feet, allow your body to acclimatize as you take in the incredible atmosphere that is the birthplace of several Buddhist figures, including the 7th Dalai Lama and the 5th Jamyang Xeba of Labrang. Settle in to the Genie Hotel located on Litang's high plateau grasslands, where you will have exciting encounters with local nomads alongside their Yaks, sheep, horses and goats. 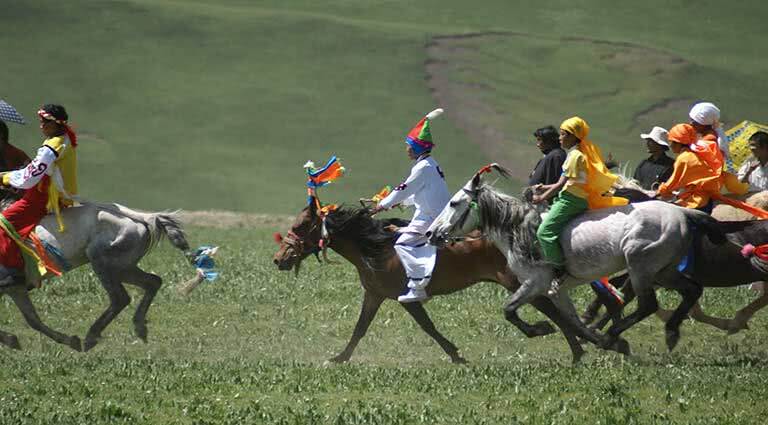 Get a good sleep tonight to prepare for the famous Horse Riding Festival that is hosted in this high altitude village. 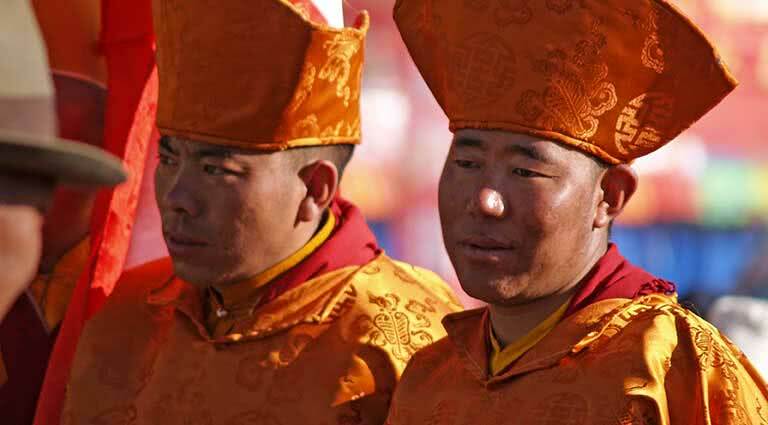 Join the crowd at one of a series of horse racing festivals, attracting Tibetans from all over the plateau, including Qinghai, Sichuan and Tibet. 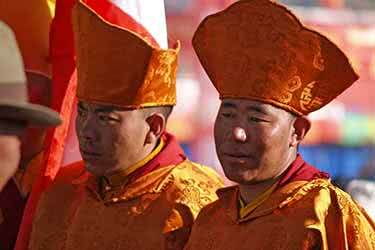 Enjoy watching local rituals as Tibetans from all over flock in early to set up their tents. The women dress to impress with their extravagant jewellery. 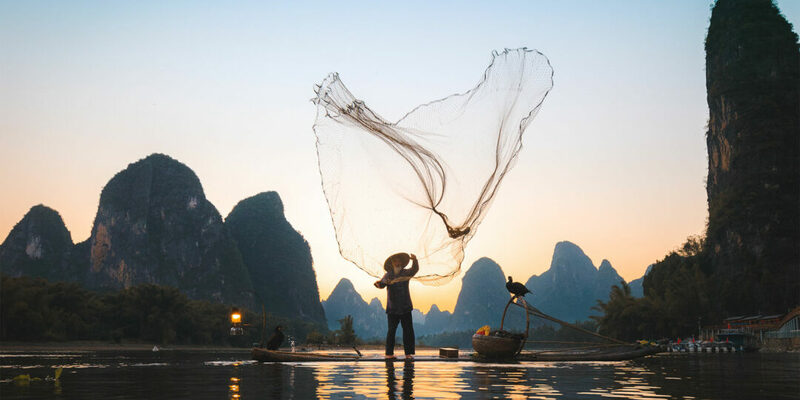 Get a feel for the festivities as you witness traditional opening ceremonies and mingle with local nomads in their rapidly-assembled trade market, where you can be sure to collect a few valuable souvenirs at a low cost, bartered price. After a day of singing, dancing, talking and eating, head back to the Genie Hotel where you can catch up on rest for the main event tomorrow. Rise with the early chants of nomads and their families as they prepare for the major horse riding event that will take place today. The local favorite is horesback target shooting, which provides quite the spectacle: 20 riders brandishing rifles as they gallop neck-and-neck towards the finish. The horse racing is divided into two stages. After an initial elimination round, supporters may place bets on the horse and racer of their choice. If your betting horse wins, it is normal to be given an opportunity to sit next to the rider on the horse. After a long and tiring event, with its ceremonious finale, retire to Genie Hotel one final time. After an eventful few days, allow yourself an enjoyable, relaxing breakfast with the rising sun, glistening over the snowcapped, infinite cascading mountains. 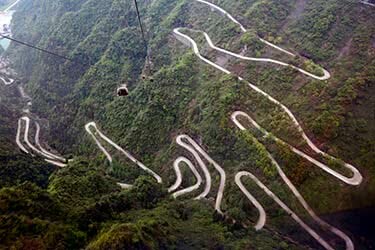 Today's journey will see you travel for 8 hours from Litang to Danba, via Tagong and Bamei. 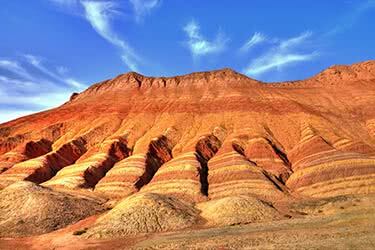 The Yak Canyon and Danba County (Rongzhag), in the Garze Autonomous Prefecture, will be your highlights of the day. Famous for nomadic Yak animal and impressive watchtowers respectively, allow these sites to deliver cultural insight into the Tibetan lifestyle. 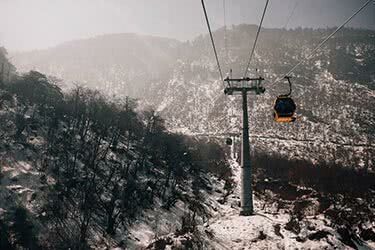 You will also be taken to the Tibetan village Jiaju and the watchtowers at Suopo and Zhonglu, where you will be able to get a bird’s-eye view of the breathtaking plateaus of land, nestled into the valleys below. Enjoy fascinating scenery as you taste a further variety of Tibetan cuisine, and relax in the Ancient Tower Hotel that will happily accommodate you for the night. Enjoy a hearty breakfast as today, your last day, will see you venture into, and learn about the legendary stories behind, the Four Sisters Mountain that is often referred to as the Oriental Alps. 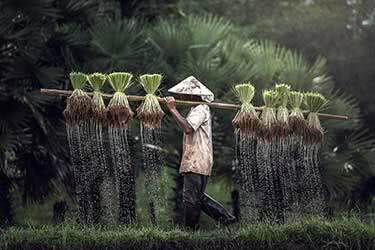 It is believed that a strong man, Alangbayi, fought off evil spirits, but died in the process of fighting Maerduola. A father of four, his youngest daughter seeked revenge, and with the help of a friend, often managed to defeat it, which blossomed their friendship into love. However, after tricking the water goddess into flooding the area, it would be impossible for the youngest sibling to fight off the spirit alone. All sisters joined together but unluckily did not defeat victory. They transformed into mountains, trapping the spirit within, but due to the overwhelming power, the younger sister had to grow into a glacially covered, taller mountain to eternally imprison the spirit. Her lover hovered above in the form of a cloud to symbolize his eternal love for her. 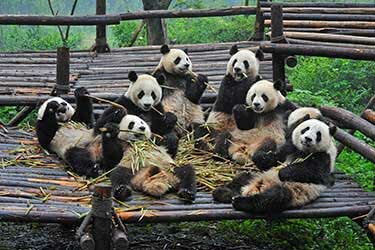 A beautiful site with a beautiful tale; absorb the view before passing Balang Mountain and visit the Wolong Giant Panda Nature Reserve. 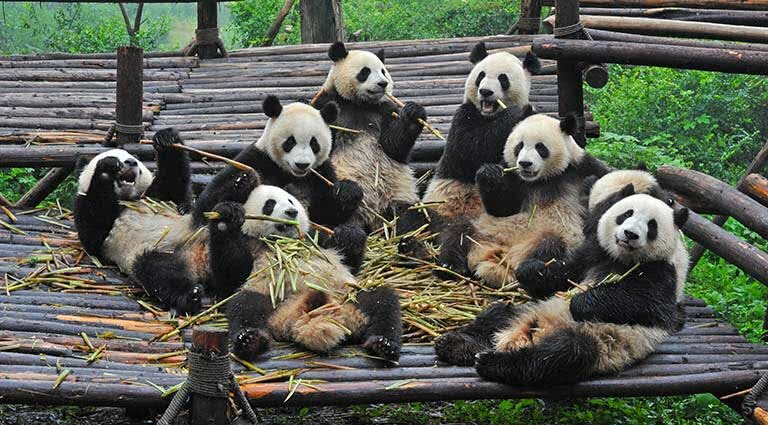 After falling in love with these gorgeous animals, you will be taken to the heart of Chengdu city where you will spend a luxurious last night enjoying fine dining and comfort, reflecting on the unforgettable splendors of your Tibetan experience. 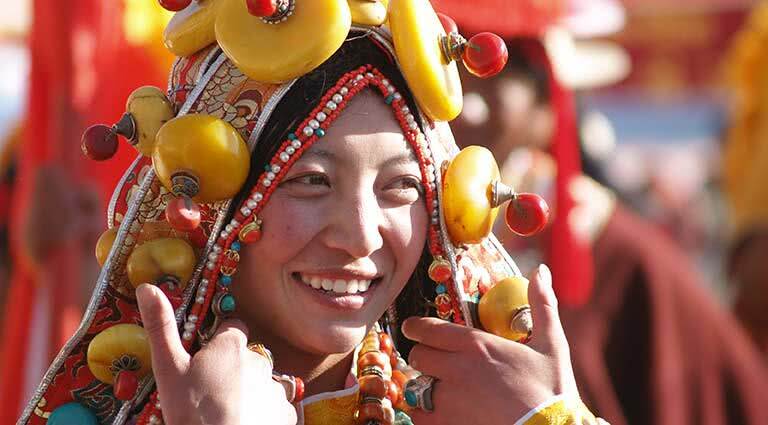 After a truly spectacular two-week journey learning about and experiencing first-hand the culture, customs and traditions of the Tibetan people and their flamboyant ceremonies, you will be transferred to the airport, where you can check in for your onward journey. 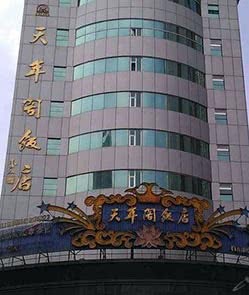 Whether your trip is for business or pleasure, the four-star Tianniage Hotel is perfectly situated in the heart of Xining’s bustling city center, just a 30-minute drive from the airport. 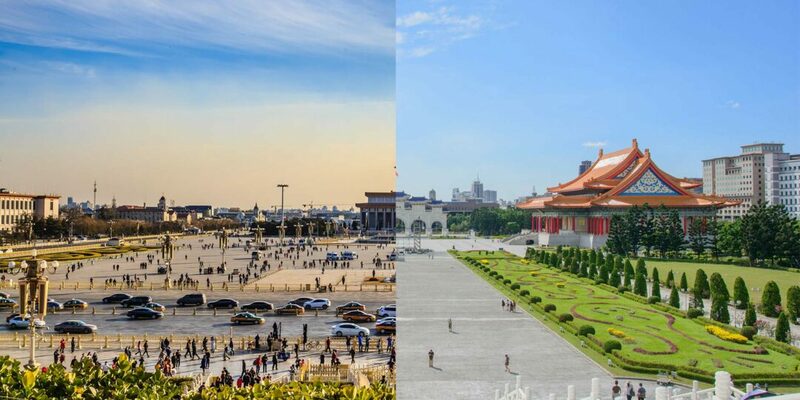 A short walk will take you straight to Yinghua Square, the People’s Park, the Nanling Hutai sites or the Meeting Center. The six conference rooms, fully-equipped business center, and stunning surroundings make this hotel a favorite among business travelers and holidaymakers alike. 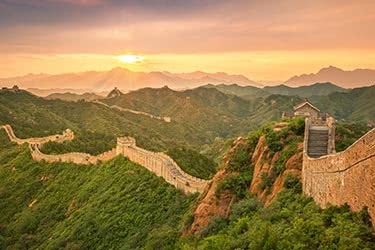 After a busy day of sightseeing, shopping or business meetings, guests can head to the relaxed setting or the hotel bar or café, luxuriate with a massage and sauna, or head straight to the dining room for delectable Sichuan and Guangdong dishes. Set within the sublimely-remote city of Yushu, the hotel is a striking new building, complemented by the array of new builds that surround it. Hospitable staff offer a prestigious level of service with high attention to detail, while tastefully-understated rooms provide a first-class stay with high levels of comfort. An eastern theme runs throughout, with subtle hints visible in the contemporary decor, reminding guests of the ancient and enchanting culture that China is renowned. 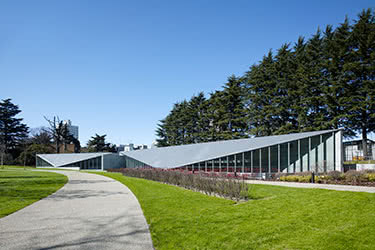 Due to its advantageous location, guests can enjoy urban scenes of gleaming new buildings, surrounded by a contrast of rugged snow-capped peaks in the distance. The hotel boasts some of the finest luxury accommodation in the Qinghai province and is possibly the most beautifully-appointed hotel in Yushu. In tranquil serenity set against the backdrop of the stunning Chaola Mountains, this is a peaceful three-star hotel where old meets new, a spiritual destination which enraptures your senses with imaginable sights, sounds and smells, casting a heady spell over the unsuspecting traveler. 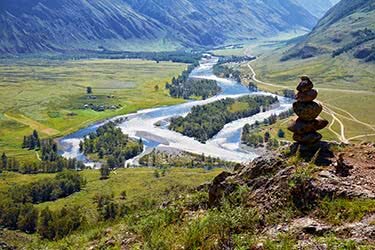 Enjoy the grazing wildlife, surrounded by dramatically rugged changing mountains and extraordinary glaciers. Guests may rise early from a peaceful night’s rest to catch the sunrise and some fresh air of the breath taking views. The morning can be spent in Derge, which is often regarded as the cultural heart of Kham, once the seat of the Kingdom of Derge, whose king ruled this area independent of interference from either Lhasa or Beijing. 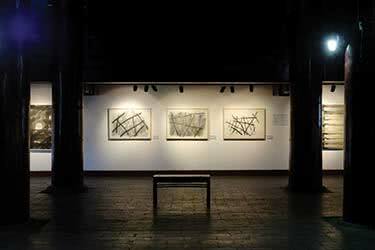 The most famous attraction here is the Parkhang Printery, a magnificent four-storey building, which houses an invaluable collection of Tibetan religious and scholarly works. 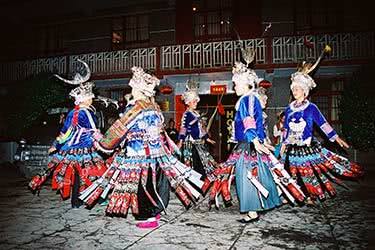 The Genie Hotel is the ideal place from which to enjoy the amazing surrounding area of the Litang Plateau. 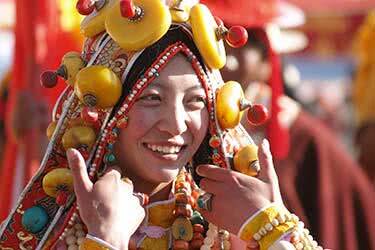 Rich in cultural heritage, the area is most popular for its horse riding festival, the largest of its kind in Tibet. 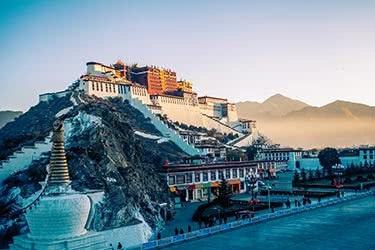 After an action-packed day of equestrian excitement, guests will look forward to a well-deserved rest in the center of Litang which, at an altitude of over 13,000 feet, is the world’s highest city. The welcoming Genie Hotel, in the middle of this attractive town, enjoys great access to local amenities as well as the stunning countryside all around. 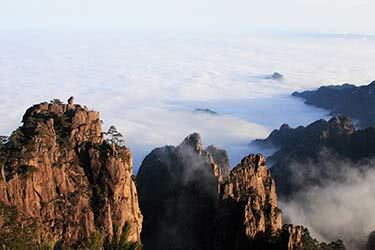 Indeed, it is named for the towering peak of Mount Genie in whose shadow it sits. 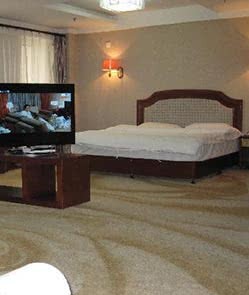 Accommodation, while not sumptuous, is cozy, comfortable and clean; the twin and double rooms are well appointed and charmingly decorated. The hotel’s dining room serves traditional local dishes and Sichuan specialities to delight visitors with a taste for the Orient. In the Garzê Tibetan Autonomous Prefecture of western Sichuan Province lies Danba County, home to traditional Tibetan culture and unbridled nature. Among the region’s mountains rest several towers built to suppress demons, protect families, and serve as watch towers against aggressive intruders. Today, guests to the region can fully immerse themselves in the customs and history of the area while staying at the Ancient Tower Hotel in Danba, where a former tower has been renovated into a hotel to accommodate curious tourists. 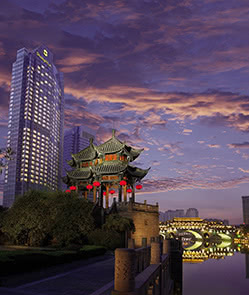 Situated in the center of Sichuan's capital city, the Shangri-La Chengdu offers spectacular views of the Jinjiang River and of Chengdu's bustling metropolis. Its spacious guest rooms are fitted with modern furnishings and designed to offer the best views. For authentic Sichuan and Cantonese cuisine, dine at Shang Palace, or choose Cafe Z to sample South American, Middle Eastern, and Asian fare. 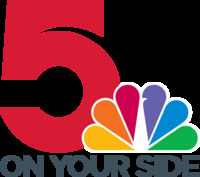 The health club is outfitted with indoor swimming pool, saunas, steam rooms, whirlpools and an extensive array of cardiovascular equipment. There is also a business center for Internet access. The Shangri-La Chengdu's spa, Chi, offers treatments based on ancient Chinese principles of restoring balance and harmony to the mind and body. 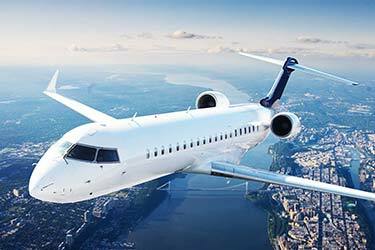 The hotel is approximately 30 minutes from Shuangliu International Airport (CTU). 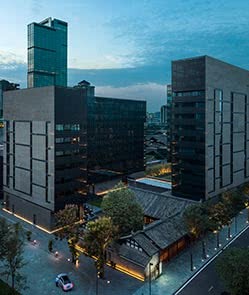 The Ritz-Carlton, Chengdu, situated in the center of the capital of Sichuan province, is a strong new contender in Southwest China’s luxury hotel market. 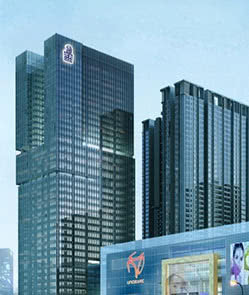 The hotel is located in Tianfu Square, one of the city’s main commercial districts. 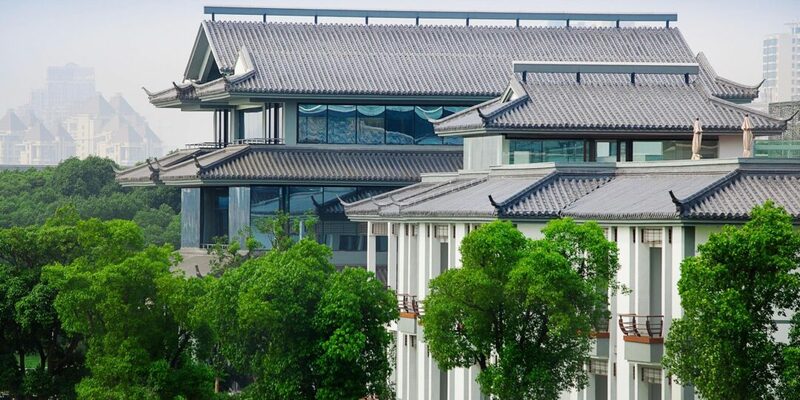 The Ritz-Carlton has 353 well-appointed suites designed in the style of a traditional Chengdu courtyard home, some of which can still be found in the old parts of the city. The room interiors combine light woods and a palette of cool blue and golden colors intended to subtly reflect the city’s heritage in a modern context. The hotel’s facilities include an indoor swimming pool, fitness center, spa, ballrooms and meeting rooms. 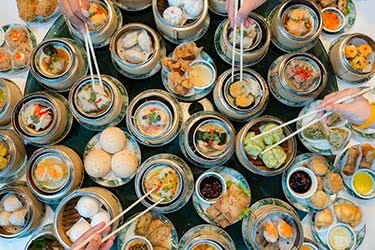 There are three restaurants to choose from, serving refined Cantonese cuisine and other international specialties, as well as a lobby lounge where guests can enjoy a sweet treat with their afternoon tea.